The 1975 have offered up a full stream of their most excellent self-titled debut album in anticipation of it’s release this coming Monday (9/2). In a recent interview with frontman Matt Healy, the Mike Crossey co-produced album is aptly described by the singer as a ‘culmination of a life’s work’. 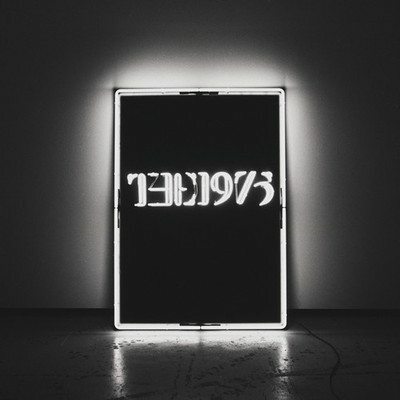 And, as with any true album, there is a tangibility to The 1975. 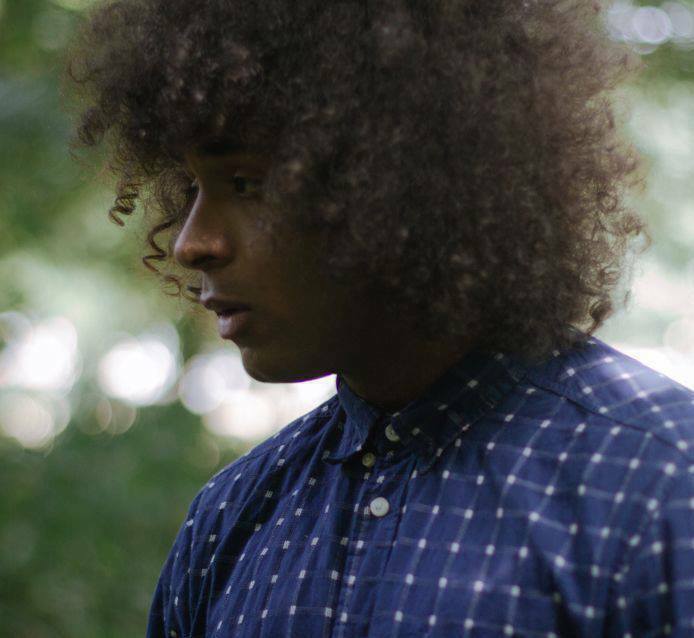 The lyrical ebb and flow of memories of youth, lust, and all the experiences they come with, is here captured by a new generation of pop music appreciators, with an incisive blend of fluidic R&B rooted rock. After all, it’s not every day that a new British band merits a lasting impression on the North American conscience. It really says something about a band to sell out a show, but to create such a demand for tickets that promoters will book an additional show (that will also sell out) – now that is pretty astonishing. With relentless touring as of late, a buzzing release in An Awesome Wave and multiple major syncs under their belt, Leeds based quartet Alt-J appear to be on the road to even greater things, at least if their performance this past Tuesday night on August, 27th serves any indication. Opening the show was six piece Winnipeg act Royal Canoe. 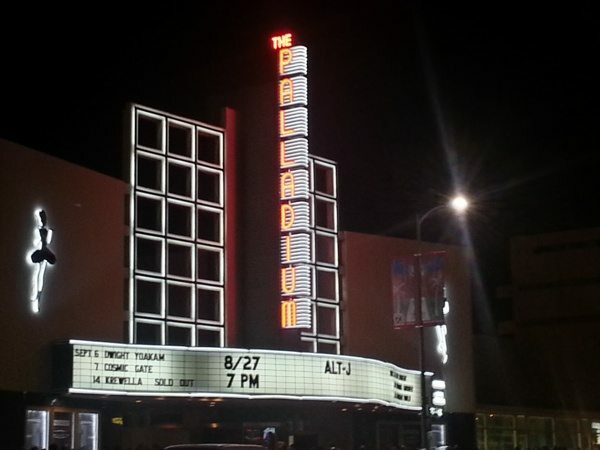 The group’s eclectic-pop styled approach proved a great fit for the many Alt-J fans in the house that night. Playing tracks off the upcoming (Sept. 3rd – North America) release Today We’re Believers, Royal Canoe captured wandering ears and engaged the masses. “Bathtubs”, the second single released off the new album, stood out with its catchy chorus, and my personal favorite song “Nightcrawlin'” offered up an eccentric rock mix to which the many music nerds in attendance could not help but groove. Taking the stage next were Alt-J consisting of Gwil Sainsbury (guitar/bass), Joe Newman (guitar/vocals), Gus Unger-Hamilton (keyboards) and Thom Green (drums). Their set lasted a little over an over an hour and they wasted no time ripping right into their much lauded 2012 release, An Awesome Wave. Before the set began, I was a bit hesitant that Alt-J’s minimalist sound wouldn’t fill the Palladiums great hall, but after Thom Green’s first snare hit, the ringing guitars came in, and frontman Joe Newman’s bellowing vocals filled the space, I soon had no more need for hesitation. Alt-J played tight as ever, they sounded great, and were seamless from beginning to end. The crowd sang along to songs like “Fitzpleasure”, “Tessallate”, “Taro”, “Bloodflood”, “Something Good”, “Dissolve Me” and “Matilda”. The band laid down a killer Acapella version of “A Real Hero” by College & Electric Youth, and also premiered a new song for fans called “Warm Foothills”. After a quick set break, Alt-J returned to stage for an encore performance in what seemed to be the most anticipated song of the evening, “Breezeblocks”. This was a show to remember… and I’ll note, Thom Green’s snare might be the greatest sound since Eddie Van Halen abused his whammy – just saying. 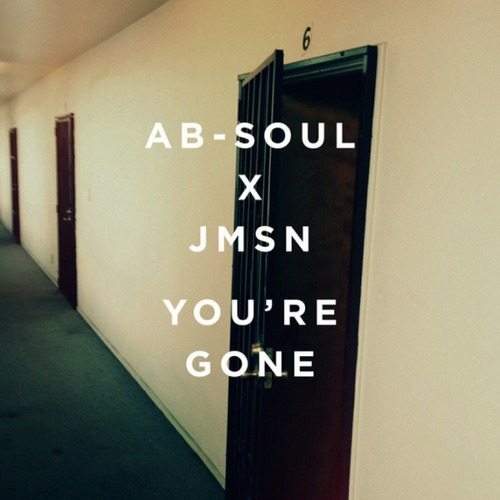 German producer takes JMSN and Ab-Soul really really deep like Mariana’s Trench inside a singularity deep, that and he manages to horn in that “hOoowwww” vocal sample from Cam’ron’s “What Means The World To You”. If you’re like us and that’s absolutely your lane than best to be getting familiar below. Singularity/Cam’ron. Very new artist, as in there’s little to zero information out there about dude on the interwebs, Mirror Signal a/k/a 19-year old Suffolk songwriter Steven Barker crushes B3SCI world w/ the very very soulful, (let the fact that bro is just 19 blow your mind again as you listen) “Broken Soldier”. Probably the best rapper out right now not named Kendrick or Drake (and we don’t say that lightly), Joey Bad dials up another win with latest Summer Knights single, the ragga-tinged “My Yout”. 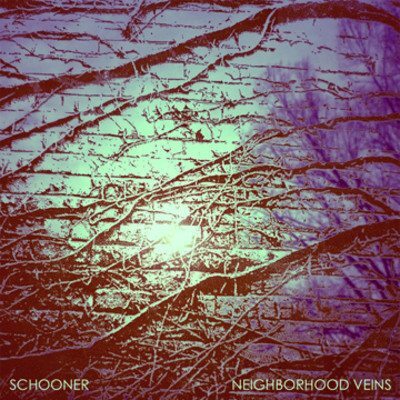 North Carolina band Schooner will release new LP Neighborhood Veins next month. The jangly, deep in the reverb box “It Won’t Matter” is the LP’s very awesome first single which you can spin below til’ yr little cardiac organ’s content. Potluck Records is your label for Schooner’s Neighborhood Veins, out September 24th. 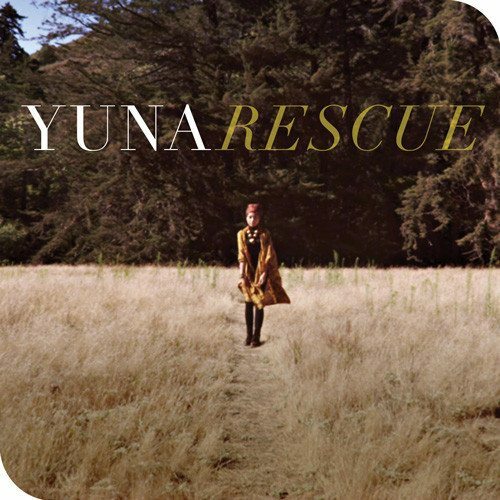 “Rescue” is the latest release from Malaysian-born songstress Yuna’s upcoming Nocturnal LP. The catchy 1/2-time pop number does well to showcase Yuna’s great adeptness for melody and melodic delivery. Nocturnal is out October 29th. It’s that time of year again when Virgin Mobile brings its annual FREE music festival to Columbia, MD. Gracing the Merriweather Post Pavilion this year on September 21st are a collection of B3SCI favorites that include Madeon, Robin Thicke, Vampire Weekend, Ghost Beach, MGMT, Washed Out, CHVRCHES, Icona Pop, The Knocks, and Sky Ferreira… just to name a few. B3SCI is giving away one pair of tickets to this coveted festival to one lucky reader! To win just email us here and let us know you’d like to be entered into the FreeFest Contest in the subject line. In the email tell us which FreeFest artist would you most like to see in a photo with Sir Richard Branson and his golden CEO mullet? (one entry per person). We know… decisions, decisions. Our winner will be picked from the pool of submissions on Monday 9/9, so keep an eye on your inbox. You can get additional details on the show as well as ticket info HERE. Good luck and may the fest be with you! 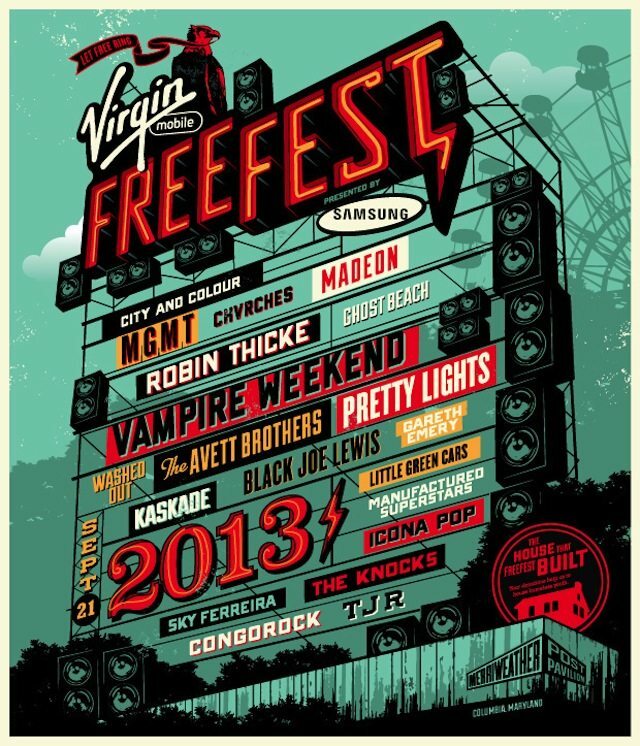 ALSO, to those already attending FreeFest try your luck with Virgin Mobile’s exclusive meet and greet experience! Full details on how to enter the contest can be found HERE at the official contest page. We’re liking the 60’s psych pop-inspired (think Beatles, Byrds, Hollies, etc) new track “Love Film” from Auckland-based band Sherpa. 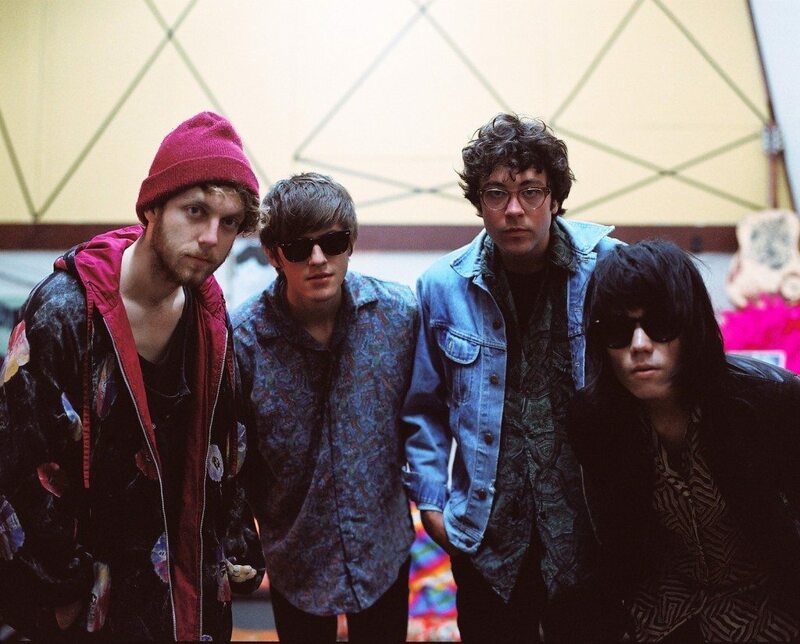 Laced top to bottom with enough Crosby/Nash-esque melodic quality and a chorus that is especially/strong head-turning, “Love Film” demands your attention ASAP.